Fortunes are to be made in the great Australian property boom. However, Nathan Birch began his pursuit much earlier. At 30, the property entrepreneur from western Sydney has a staggering portfolio of more than 170 properties, earning rental income of $500,000 a year after expenses. Birch caught the property investment bug at a tender age when he watched his older brothers buy houses. “I was 13 years old and I got excited,” he says. He researched property till the age of 18, when he could sign a contract. “I looked at it as a vehicle to be able to change my lifestyle,” he says. Birch’s aim was to be able to leave the workforce by the age of 30. 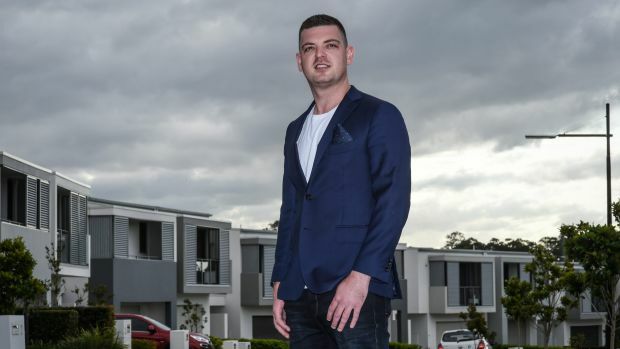 Hailing from a blue collar background, Birch bought his first property at 18 for $248,000 in western Sydney. He pushed himself to buy 10 properties. He says he has treated his property investment forays like a business. His enterprise, Binvested, has grown from that point. Birch says he has made property investment his life’s work, sacrificing his youth, relationships, holidays and partying. However, having quit his job at 24, he got bored and realised he wanted people to share the same passion. “I started making YouTube videos to share what I was doing out in the public arena . . . I started helping people . . . and it just went from there. It’s purely out of a passion,” he says. Birch set up Binvested with business partner Daniel Young. It has grown into a group of companies, dealing with various aspects of real estate such as accounting, legals and property management. Birch says everyone around him shares the same passion. “The core business, which is Binvested, is to help investors get the right information. We provide resources to help them to build their property portfolio,” he says. His first office was a 10-square-metre room, with four staff and no window. “Now, we are moving into an office which is 600 square metres, and with about 50 staff,” he says. Is Birch worried if negative gearing ever gets axed? Achieve Property director Mark Kelman says one of the challenges on entering the property market is the starting phase. “When you are starting out, there are so many options and nobody is there to tell you how you can do things,” Kelman says. He says that is one of reasons why he teaches people how to get started or move forward in property investment. Kelman says his business has been funded through past investment. “One of the benefits of this business is you can start with a single property investment,” says Kelman, who trained to be a veterinary surgeon. Some of the money you make on your deals can be put into your next property ventures, he says. Melbourne-based Kelman says budding entrepreneurs find it hard to bring other people into their deals, whether it is joint venture partners or financial partners. “You have to outsource work to people you can trust, because the biggest limitations that you have are time and money,” he says. Inspection Angel founder and owner Jason Wier says his business provides access to real estate services. He says a property entrepreneur should find a model that he or she feels is a good fit with their personality and ensure it serves a purpose in the market, which adds significant value to the client’s plans and financial outcomes. “The big mistake is businesses operating on a ‘what can I get out of this client, now’ mentality as opposed to ‘what can I offer to genuinely benefit this client, help them truly prosper and have them as a client for life’,” Wier says. Make sure you understand why you are buying your property. Set strong goals from the start and only accumulate properties in line with your goals. Don’t buy with emotion. It’s about numbers. Treat property investing like a business with no emotion. Have clear goals: what you need to add into your life; into your business; into your property portfolio and what you don’t. The three main keys when accumulating property: buy below market value; it should have an upside to growth and a good cash flow.